I have my suspicions what comes to bulky yarn and thick needles. 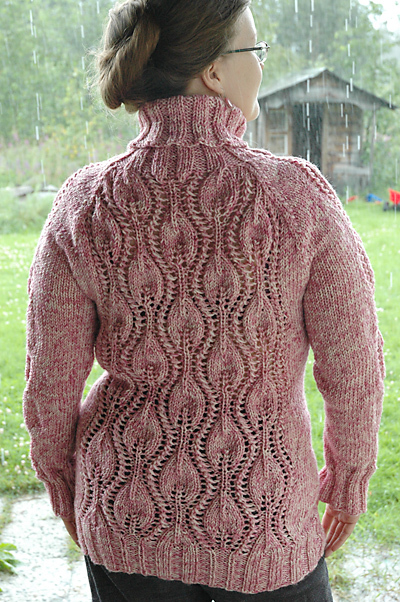 I had bought eight skeins of pink Novita Saana (100% wool) from sale a few years back, and I had a pullover in mind. But the perfect pattern? 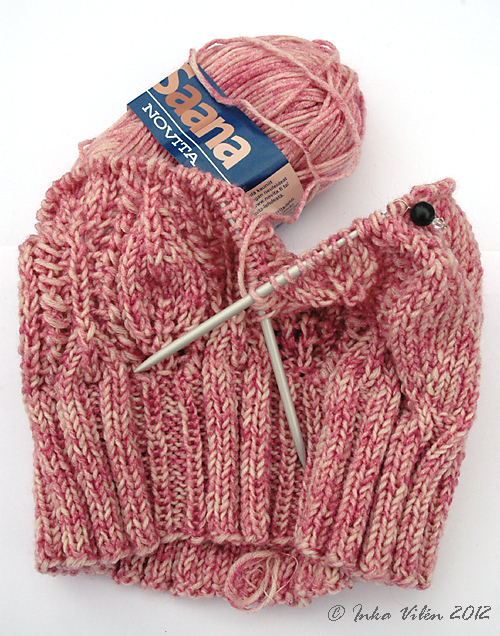 My choise for the needles were 5,5 mm (the suggested needle-size for the yarn is 6 mm). Above the waist, I knitted the leaf-pattern for one extra time, to make sure that the waist decreases were to land on my waist and not above. The yarn was so thick that I split the ends in two before weaving them in. That way the ends are perfectly invisible. I knitted the (turtle)neck until I was running out of yarn. I had left quite long ends for sewing the underarms, but that was no exaggeration: to make the stitches in the underarms nice and tight I had to use every bit of yarn I had. But as they say: if there was enough, then there was enough. I had my suspicions on how this sweater would turn out. I’m happy to say that it turned out perfect. 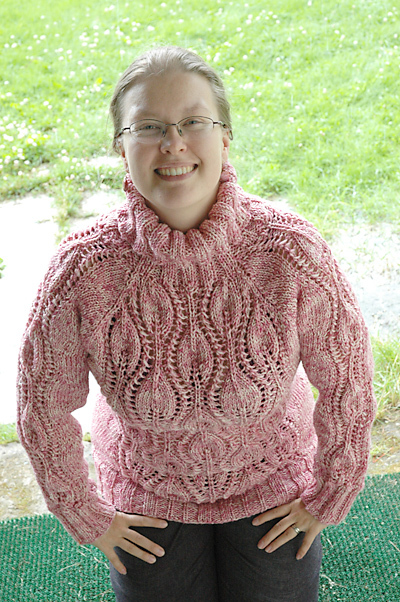 The size I chose was perfect, the colour is perfect, the pattern was fun (and quick!) to knit and it looks light and it’s a dream to wear. Now I’m just asking: how long until the chilly weather? 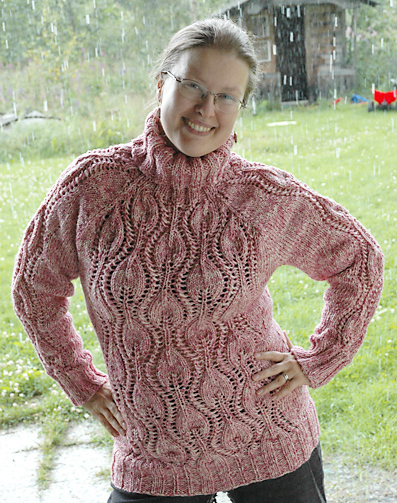 This entry was posted in finished, yarn work and tagged knitting, sweater by Inka. Bookmark the permalink.